The Highest Flowing Hybrid on the market - Period ! There is no replacement for displacement as the old saying goes, if you have the cubic inches you climb the power ladder. A hybrid turbo allows more airflow into the engine, enabling more power to be made. Development of a New X-Series Turbo doesn't just happen over night. Its taken months of design and development to get the turbo specification correct. This new 6 Blade compressor wheel is fully bespoke and unique to this unit. We could not fit anything larger into the housing. This housing has a theroretical flow limit of 280bhp. With the cut back and profile of the blades we are reliably running 270-275bhp on MAXD OUT software. The Pumaspeed Workshop team are ready to fit the Focus STD 2.0 Diesel X-37 280bhp Billet Hybrid Turbocharger in our Head Office located here. Therefore making parts and labour a total cost £1,189.00 (inc. VAT). 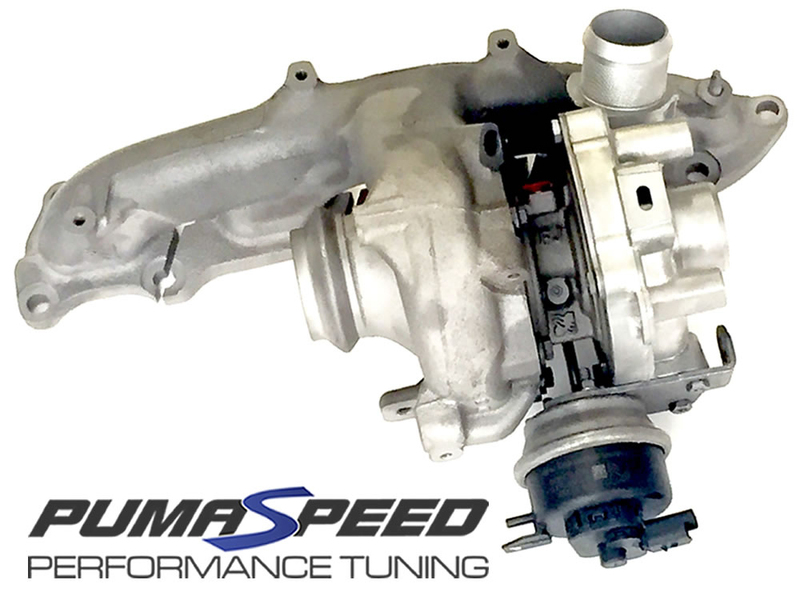 Pumaspeed have a specialist distribution team that can dispatch the Focus STD 2.0 Diesel X-37 280bhp Billet Hybrid Turbocharger to any destination worldwide.